These pages were captured from an early S-VHS tape recorded in 1990. If you have any early S-VHS tapes it is possible we may be able to capture teletext data from them. Please get in touch! A couple of regional ORACLE pages. The regional service took a while to get off the ground, starting I believe in the London area. The regional pages were all very similar, offering the standard set of services. 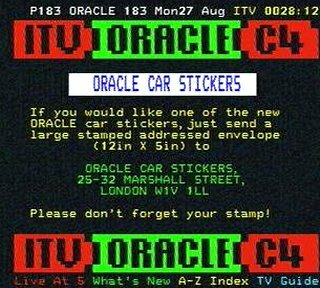 Areas such as London, which didn't have an ITV company with a three letter acronym had a slightly different style header, a red "LONDON" and a green "ORACLE". Teletext is ideally suited to elections, with the ability to give the full detailed results immediately. But like most of the media on the 1992 elections, they got it wrong. These pages were broadcast "on-screen" on Channel 4 on Election night between programmes. Whilst Peter Snow was dancing on screen on BBC1 and ITV had the heavyweight political commentators, Channel 4 showed the Marx Bros. film, Duck Soup. 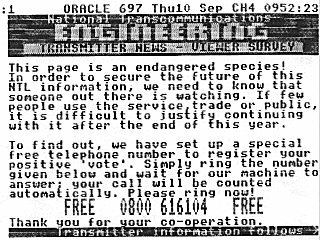 An NTL Engineering Information page from September 1992 which was, ironically, saved at the time on paper by one of the BBC Engineering Information Service staff. The page is recreated here from the paper version using Videotex software. The ORACLE user guide captured from an S-VHS tape recorded in November 1992. 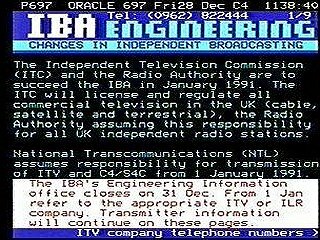 ITN provided the news pages for ORACLE from its birth until it closed in 1992. The sad news of Freddie Mercury's funeral is tempered by the news that Santa Claus is online. Roll Up! Roll Up! Get your Oracle Index cards! 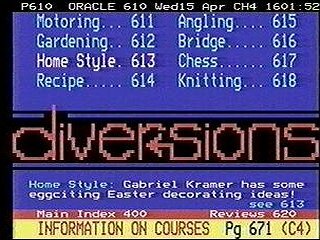 Do you have an old index card from Oracle or Ceefax? Let me know! 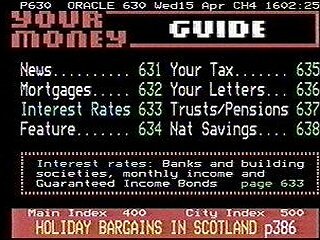 See an example of an Oracle index in the Teletext Timeline. 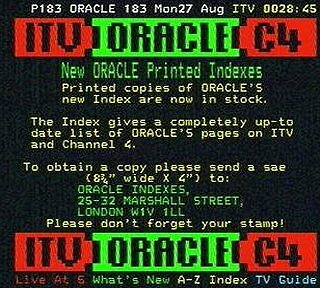 The end of ORACLE | Their last day: ITV | Channel 4 | Going, going, gone!